Advanced formula technology eliminates the nuisance of messy glue strings. * Creates a precise clear bead with all the bond strength needed to easily adhere a variety of materials. 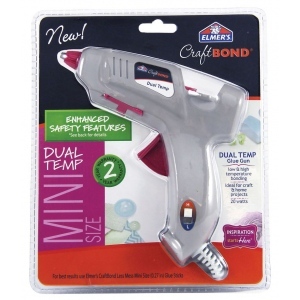 * Glue sticks are formulated as all-temp to work in any temperature gun currently available. * Added safety features for maximum use include an insulated nozzle for safeguard against burns a safety fuse that shuts the gun off automatically if overheated and built-in lifts on both sides of the gun allowing the tool to rest safely on its side without glue backup. * All guns are designed with a trigger-fed mechanism to provide continual glue flow. 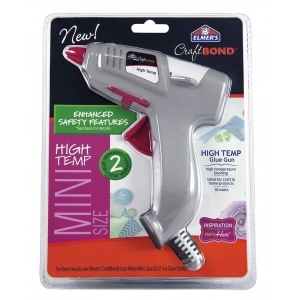 * Use high temp gun setting to bond materials such as wood plastic and metals.